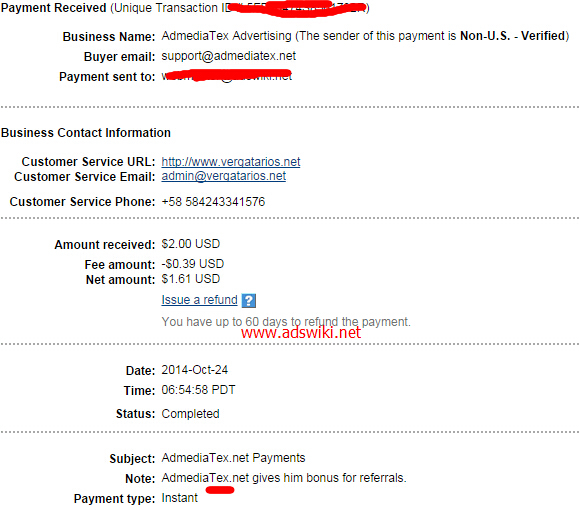 Admediatex | AdsWiki - Ad Network Listing, Reviews, Payment Proof & Advertising News. Admediatex v2 now has independent ad server, large statistics counters to monitor each client and advertiser Fill Rate insured! Smart AdServer, HassOffers, Appnexus, AdCash, epom Adserver are our sponsors ads related to their networks. The statistics are in real time. For months with them, no complaints, some other delays but everything is excellent recommend them. Testing network, very ecpm medium. Let’s try, hope to have good results. Well, it’s very good revenue. ECPM is a little low but it happens. Great Company eCPM Medium Low , Perfect Support. Excellent company. Recommend. ecpm medium.